Famous Punjabi Singer and actor Ammy virk’s movie Saab Bahadar has released on 26 may in all the cinema houses. this film is full of mystery and thriller, Produced by White hill and Zee studios and Jass grewal has written the story of the movie that is directed by Amrit raj chaddha. Preet kanwal is new face as heroine of the movie and some other new faces but experienced Actor Sardar Sohi, Hobby Dhaliwal and Seema has played its role very well. this film is loved and praised in comments after seeing the movie by all the viewers. 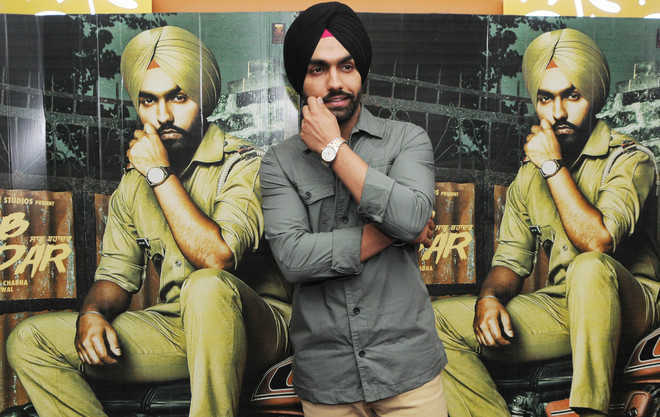 Ammy virk is in the role of Saab Bahadar has given its viewers a new experience . Beside Ammy virk Rana Ranvir singh and Jaswinder Bhalla has played their role in very effective way. The movie is getting high praise by its viewers as they comment Nice, Awesome,Excellent, superb movie.the songs of the movie already hit . people are liking the all flavor in the movie.